Your brakes are one of the most important safety features on your vehicle. 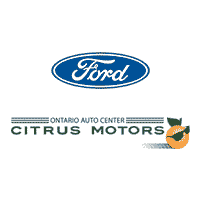 Citrus Motors Ford is here to help you make sure they’re in optimum condition. Brakes are designed to slowly wear as you use them. That’s why it’s so important to visit your Ford Dealership where an expert technician can perform a thorough inspection and complete any needed maintenance or repairs. Have you ever wondered what’s stopping you? Do your brakes feel squishy or squeak? These are signs you shouldn’t ignore. Even if you don’t see any signs, a routine inspection at your Ford Dealership can save you money on costly repairs. To discover more about how brakes work, how to spot warning signs and why it’s so important to have regular brake inspections, please view the video above. At Ford, we’ll stop at nothing to make sure you can stop for anything. That’s why we provide a Lifetime Brake Pad Guarantee. Our brake pads are specifically designed and engineered for your Ford. For optimum stopping power, schedule a brake inspection at your Citrus Motors Ford.